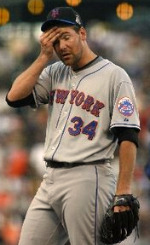 Will the Mets Deal for a Starter? NOTE: This is a guest post by longtime Mets beat writer John Delcos. Please direct your comments to John. Enjoy! BlueandOrange.net discusses what might have been had Steve Phillips succeeded in trading Jose Reyes and David Wright so many years ago. Delcos also sees a missed opportunity with Davey Johnson. I have to agree.